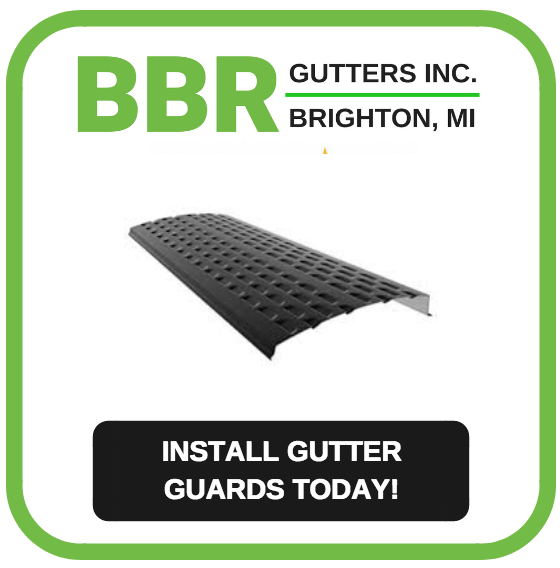 Gutter Cleaning Brighton, MI | Repair & Installation Services | BBR Gutters Inc.
WE CLEAN GUTTERS SO YOU DON’T HAVE TO! BBR Gutters Inc. in Brighton, Michigan offers professional gutter cleaning for Livingston and Washtenaw Counties. It is very important to clean rain gutters and downspouts on your home. Gutter cleaning helps to extend the lifetime of your home’s siding, windows and roof. 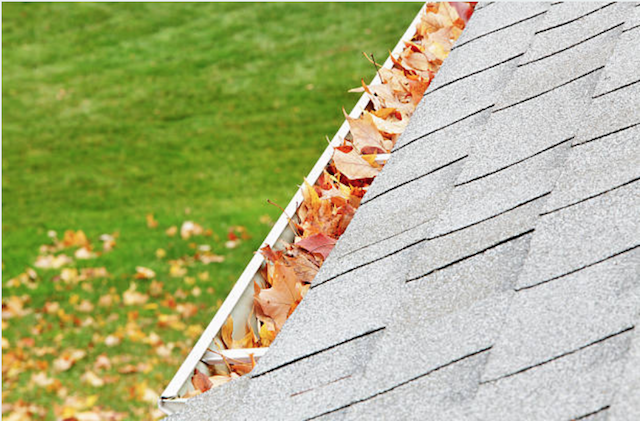 For the best results, gutter cleaning should be completed two or more times every year based on the amount of foliage and trees near your home. BBR Gutters Inc. sends experienced technicians to your home to perform an evaluation of its gutter system. We then provide an estimate for our services before we begin cleaning. If there is any evidence of structural damage or deterioration during our evaluation, we will let you know. Depending on the extent of the damage, it is possible we will recommend gutter repair or replacement. Our service lasts between 1-2 hours based on the size of your home and the condition of the gutters. Homeowners do not need to be present during the time of our service. If you are home, our technician will report to you when he is finished and answer all questions. READY TO SCHEDULE OUR SERVICE? 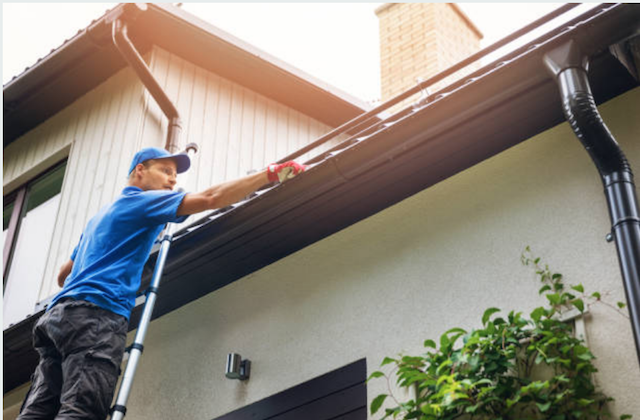 IS IT IMPORTANT FOR HOMEOWNERS TO CLEAN THEIR GUTTERS? Yes! Gutters are an important part of a home. 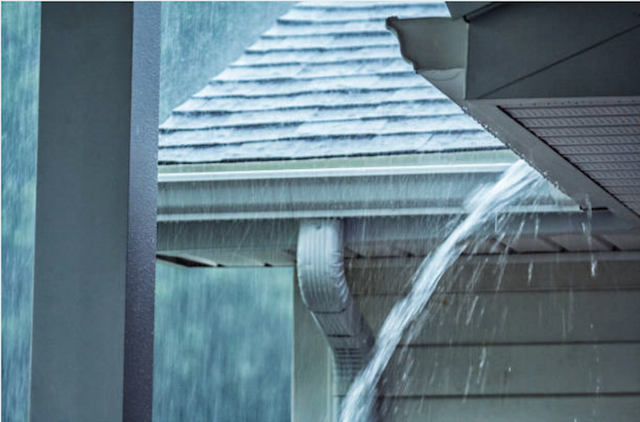 Clean gutters facilitate the flow of rainwater from a roof and direct the rain to downspout that funnels water away from the base of a home and its foundation. Rainwater must flow from the overhang of a roof, into the gutters and then along the channel. If the flow of rainwater is obstructed and water starts to pool inside of the gutters, it will also pool at the bottom of the roof. This can lead to damage to roof shingles and cracks in the roof. Cracks will lead to a leak in the ceiling and throughout the interior of a home. You don’t want to have to repair rotted ceilings or floors in your home because your gutters weren’t clean. You don’t want to deal with a flooded basement either. One of the main causes for flooding in a basement is broken or clogged gutters. Rainwater will overflow from the sides of a roof and then collect at the base of your home. This will wear down the home’s foundation and soon lead to water leaking into the basement. Leaks can result in mold and mildew growth, paint chipping and ruined carpet or furniture in a finished basement. Rainwater can also destroy your home’s foundation if not channeled properly. An unstable foundation is not safe and to repair the foundation of a home is extremely costly. Also, if you intend to sell your home, you will be required to repair the foundation as it will not pass an official inspection. Insects and rodents love sitting water. Rainwater that remains in a gutter over time will soon be a home to termites, mosquitos, rats and other pest. Pests in your gutters are bad enough, but it will be even worse if the pests wind up inside of your home. Gutter cleaning removes the chance of an infestation or rodent outbreak. Dirty gutters can lead to worn down and unattractive home exterior. Debris will build up in the gutters and around the base of the home. Overflowing water will deteriorate roof shingles and chip away paint. You will ruin the curb appeal of your home if you do not clean your gutters on a regular basis. Over time, clogged gutters will lead to damaged gutters. Leaves, debris and materials will corrode aluminum gutters. A corroded gutter is as bad or worse than an unclean one and will lead to many of the same problems listed above. 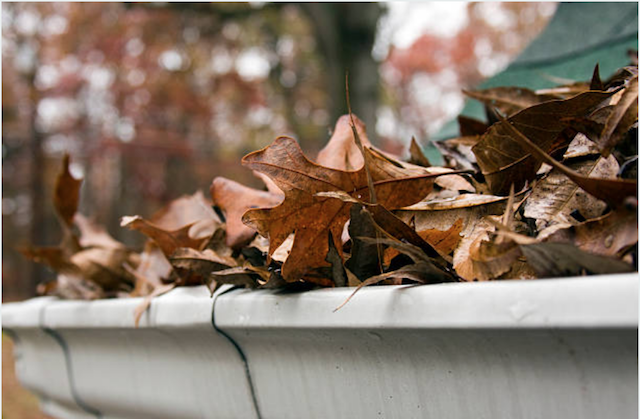 If your gutters are corroded or permanently damaged, you will need to replace them as soon as possible. WHY HIRE PROFESSIONAL GUTTER CLEANERS? You can see why it is important to clean your gutters. For some single-story homes, gutter cleaning might be an easy enough project for the owner. You just need to be able to climb a ladder and reach all of the gutters. It also won’t be as difficult if there are only one or two trees near your roof. However, for two-story homes and homes with a lot of trees nearby, you might want to consider hiring a professional gutter cleaning service. You should also call if you are unable to climb a ladder or feel it would be unsafe to do so. Serious injuries can occur from the height involved in cleaning your own gutters. And, as we mentioned above, if the cleaning is not done well, damage can occur to a home to. The cost of our gutter cleaning service is affordable compared to the costs of major home repair projects or medical bills from injury. Or, you can circumvent the costs and need for gutter cleaning and install gutter guards on your home. Our gutter cleaning fees are affordable and much cheaper than major home repairs or medical bills. Give us a call at (810) 206-2058 for a free estimate. BBR cleaned our gutters and did an excellent job! Great service from BBR Gutters Inc! Definitely recommend.